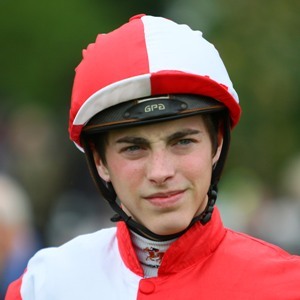 James Doyle was born into a racing family, being the son of former trainer Jacqui Doyle, while his older sister Sophie is also a jockey. After a promising start to his career, the winners began to dry up and by 2010 he considered turning his back on racing and even enrolled on a plumbing course. However, an upturn in the number of winners in 2011 caused Doyle to reconsider his decision and he never started the plumbing course. In 2012, he became stable jockey to the powerful Roger Charlton stable and enjoyed the biggest victory of his career on Cityscape in the 2012 Dubai Duty Free at Meydan while he rode two seconds in the QIPCO British Champions Series, on Bated Breath in the King’s Stand Stakes at Royal Ascot and on Cityscape in the Queen Elizabeth II Stakes on QIPCO British Champions Day. He broke his Series duck in great style on Al Kazeem in the Prince of Wales’s Stakes, timing his challenge perfectly to get up in the shadow of the post to record his first British Group 1 race victory, and he swiftly followed that with more glory on the same horse in the Coral-Eclipse. He also rode Rizeena to victory in the Group 1 Moyglare Stud Stakes in Ireland. In late August 2013 he landed the plum job of being retained jockey for Prince Khalid Abdullah and he rode the hot favourite, Kingman, in the QIPCO 2000 Guineas, but was beaten into second place by outsider Night Of Thunder. He made up for that in Ireland, however, hacking up by five lengths in the Irish 2000 Guineas to claim his first Classic victory. Next he won the St James’s Palace Stakes, with Kingman turning the form around with Night Of Thunder with ease and followed that with an ultimately impressive victory in the QIPCO Sussex Stakes where he beat the previous year’s winner, Toronado. He followed that with another victory on Kingman in the Group 1 Prix Jacques Le Marois at Deauville. Next he won the QIPCO Champion Stakes on board Noble Mission, a full brother to Frankel. Doyle opened up his account in the 2015 QIPCO British Champions Series with victory aboard Night Of Thunder in the Al Shaqab Lockinge Stakes and he partnered Amazing Maria to success in the QIPCO Falmouth Stakes a couple of weeks later. In 2017, Doyle enjoyed a fabulous time at Royal Ascot – winning the St James’s Palace Stakes (on Barney Roy) and Gold Cup (on Big Orange).